A couple of weeks ago I wrote how Asia would be the key to Microsoft’s success with its soon to be acquired handset business and Windows Phone. Well, new IDC stats out this week confirmed the importance to Redmond of one of Asia’s biggest markets, India, but also that it may struggle without the Nokia brand. India is now rated by many analysts as the fastest growing smartphone market in the world. The numbers speak for themselves. The largest democracy on the planet has a population of over 1.3 billion but smartphone penetration of only around 10 per cent – in this it’s some way even behind China and has huge growth potential. The question is who’s going to capitalise? Well, at the moment it’s the same old story of cheap, local Android handset providers. In India Karbonn and Micromax are two of the most prominent. Windows Phone was a surprise second place in Q2, however, with a market share of 5.3 per cent, according to IDC. Granted, this is way behind Android’s 90+ per cent, but still above iOS and BlackBerry and remember that percentages translate into 500,000+ units. 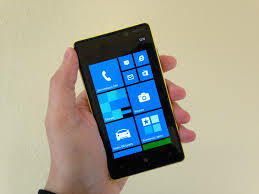 The key to success going forward, however, will be how it handles the Lumia, according to IDC analyst Kiranjeet Kaur. She told me that although Nokia sells the Lumia 520, 620, 625, 720, 820, 920 and 925 in India it has been the 520’s low price point of around Rs 10,000 (£100) which has made it popular. Microsoft can’t rely on the Lumia range to continue attracting buyers in the future though, because the all important Nokia brand will soon be removed. Time will tell whether this makes a big difference. It has to be said that Nokia was far from coasting in India. Despite winning the country’s Brand Trust Report for the third year in a row in February, it has been mired by tax problems and slowing sales. Still, India remains Nokia’s second largest market after China, according to IDC, so the next 12 months will be a key test of whether Microsoft can continue the momentum and take on the likes of HTC and Samsung in the mid-range as well as stealing a bit of share from domestic players at the lower end. It will be an uphill task. It was Microsoft and Nokia’s big week this week and I’m sure the two will be hoping to hog the headlines going forward as much as they did over the past seven days. Now some might have unkindly described the alliance as “the sounds of two garbage trucks colliding”, but I’ve been getting the low down on why the deal should matter to APAC, or more realistically, why APAC should matter to Microsoft. Let’s get one thing straight, APAC is essential to Microsoft’s future success in the smartphone space, not just because it has the world’s largest and fastest growing market – China and India respectively – but because Nokia has a really good legacy footprint there thanks to its feature phone biz. The problem for Redmond, however, is that we’re not talking about feature phones any more, but smartphones. These markets are increasingly demanding smartphones, albeit low-end handsets, not feature phones. It’s why local players like Huawei, ZTE, Micromax and others are growing at such speed. Nokia’s stock is greatest in India, where it has been voted most trusted brand for two years in a row, despite on-going tax problems with the authorities. Yet according to IDC’s Melissa Chau its relationship with operators isn’t particularly great anymore, so to large extent Microsoft is going to have to start from scratch here. Use its combined internal expertise now with software and hardware to tweak Windows Phone so that it can run on hardware specs more suited to a lower price point. It also needs to sort out Asha, she told me, starting with making the handset more attractive by sticking some Microsoft apps on it, and then hopefully in time transitioning those customers to a low cost Lumia. This ain’t gonna be easy. The competition is fierce out there and with Nokia’s star waning and a severe lack of apps in the ecosystem the best Redmond can probably hope for is cementing it in third place behind the deadly duo of iOS and Android. With four of the Lumia’s top selling markets in APAC (including no. 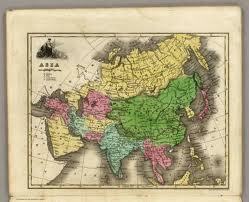 1 and 2) however, it must make the region a priority. Time will tell how successful it is, of course, but time, as we all know, is probably something Micr-okia doesn’t have. 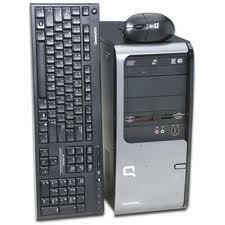 Just as the global PC market seemed to be getting back on track, Asia Pacific looks to be faltering. Yes, IDC on Thursday released its predictions for Q2 shipments in the region and the results show a one per cent decline over 2011, with HP and Dell the biggest losers. The irony in all this is that IDC is blaming economic turbulence in the West as a major cause for consumers and enterprises to tighten spending, thus sending shipments down. It’s an interesting observation because it really highlights the global, interconnected nature of the economy, and by extension the IT market, today. We know from the global meltdown of 2008 exactly what happens when the economic dominoes begin to fall in one region – eventually everyone gets sucked in to a lesser or greater extent. Asian companies with risk exposure in the West or multinationals with offices in Asia may both have found recent economic sluggishness in the markets they operate in outside of Asia Pac has led to greater caution inside the region, which could partly explain the PC stats. This is more of a sentiment issue. Weakness in Western economies has affected growth in Asian countries as well, with GDP numbers going down across the region in the first half this year. This, in turn, has affected consumer confidence as well. Admittedly, it is not something specific to PCs, but given how PC buying is still a discretionary expenditure out here, consumers are pulling back on all such non-essential spending, including PCs. So whether it’s shipments to Western countries being hit or the knock-on effect of economic woes in the West leading to lower spending inside Asia Pacific, bad news in the US and Europe may mean bad news for Asia. It’s all one messed up, interconnected global market. If nothing else, this should all serve as a reminder to the IT leader in the West that they need to keep an eye on what’s going on all over the planet and not just their home market to effectively manage risk, spot emerging trends, and basically do their job properly.